Here is the free non-profit webinar round-up for October, 2011. This month we've found webinars on branding; email marketing for non-profits; newsletters that engage; online fundraising; successful volunteer interviews; twitter basics and much more! Check out this list of webinars to see if any interest you and pass it along to others in your organization. See above for program overview. Engaging email newsletters raise awareness, strengthen your relationships, and help achieve your mission. Are yours doing that? In this live webinar, hosted by a Constant Contact online marketing expert, you can questions, hear your peers, and see for yourself how to get the most out of your newsletters. Discover the keys to an engaging newsletter and why online is essential. Humor, storytelling, authenticity, and passion give you the power to engage listeners. And engaged listeners are more likely to take action on your behalf. In this Ventureneer webinar, you'll learn to develop your personal story, tell it with passion, and use your voice to draw people in. You'll also learn how to think on your feet so you can respond to tough questions with solid, confident answers. Our instructor’s 5-step process makes sure you can. The class adds to the skills taught in Giving Voice to Your Cause. If you liked Giving Voice, you'll like this webinar as well. However, there is no pre-requisite for joining this webinar. If raising funds online is about technology, then raising funds through direct mail is about paper. But that’s just silly. Any form of fundraising is about the relationship between the nonprofit and the donor or prospect. Strengthen that relationship and you increase the frequency and amount of donations as well as the number of donors. Online marketing builds relationships; offline fundraising uses those relationships. Online fundraising includes your website, your e-newsletter, social media and the synergy they generate. These leverage each other and they leverage your offline fundraising efforts. How to use the conversations already going on in social media for insightful feedback. How to easily make your own emails, website and social sites more interactive and useful. The right content to include to get high engagement among your supporters and actionable feedback. How other nonprofits are using feedback to help them achieve success. How to leverage supporter feedback to have loyal, raving fans of your organization. Nonprofit boards have the ultimate responsibility and accountability for the organizations they lead. Does every member of your board understand their legal obligations, basic responsibilities, and duties? Major gifts fundraising is highly individualized. It focuses on the 10 percent who can give the 90 percent. Unlike direct response and special events, a major gift solicitation is most likely to succeed only when you physically and psychologically get in “front” of your prospects. Involvement is the key. How to create and manage a major gifts process? Shifting from a traditional culture of volunteer management to a collaborative culture of volunteer engagement presents challenges and opportunities. This VolunteerMatch webinar introduces participants to specific tools that help to smooth the transition and structure your organization for successful - and lasting - change. The webinar features the stages of change, tools to assess of current volunteer practices, and a proven model for change that participants can take back to their teams to begin implementing. The series, presented by Jill Friedman Fixler, author of the Boomer Volunteer Engagement series, and co-author/editor Beth Steinhorn, is designed as a collection of four separate webinars and can be taken in any order. Social Media and mobile solutions should justify their investment, but that is only one aspect of their value. When determining where to spend your marketing budget, your nonprofit needs to look at the total value of each marketing channel including measurements for awareness, engagement, and retention. Understanding this will empower you to make smarter investment choices and create a more targeted fundraising strategy. Learn how to develop a full value measurement and compare tactics including: Facebook, Twitter, Search Engine Marketing, online ad placement, email and mobile applications. You will walk away with a worksheet to compare the costs and benefits of online media options that you can use to tailor your fundraising campaigns and maximize results. For nonprofits, the power of Twitter offers an opportunity to reach more people, engage influential advocates, and increase online donations. Organizations, large and small, like The National Wildlife Federation, Big Love Little Hearts, and Kids Are Heroes are successfully using Twitter as part of their online strategy. During this free high-level CharityHowTo webinar – presented by John Haydon - you’ll find out the benefits of using Twitter. And we won’t be showing PowerPoint only - we’ll be doing real-time tweeting, and retweeting. If your organization offers a free webinar that would be of interest to non-profit, membership or volunteer-based organizations and you want to include it in next month's post, please email an overview (like those above) to lori@wildapricot.com no later than October 15th. • Why are corporate transitioners a viable source of talent for the particular position, the organization’s needs and its culture? • Who seeks to transition and why? • Which types of organizations can bring out their best? • What are the proven practices of those organizations that have harnessed the talents that corporate transitioners are able to bring to bear? • What different should you do to retain the corporate transitioner? Great service you're providing here. Thanks much. Replay: If you can’t make this time, register anyway. All registrants will get the video recording. 3) The specific value of each message element, and how to use it for greatest impact. All who join me will finish the webinar with a clear path to messaging that connects with your target audiences and spurs the actions you need to move your cause forward. Messaging for mission! 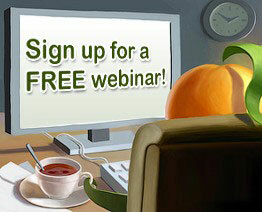 Thanks for providing information on your upcoming webinars. I'm not sure if our new CMS is causing formatting problems, but if possible in future, can you simply provide the date, name and link to additional webinars in the comments - thanks.